Computer coding might sound scary for some. If you don’t have any kind of computer background, it’ll definitely be intimidating to even give it a thought. Even a regular computer user can get pretty intimidated at the thought of learning some computer coding basics. Truth is that there’s really nothing to be scared of. In fact, it’s a good idea to learn some computer coding basics. To start with, no one is really too old to learn some of it. So, if you’re interested in learning some computer coding basics, go for it. One computer language worth knowing is Python. If you’re looking to learn coding or want to pick up another programming language, Python is a good choice. One of the terrific things about Python is how closely it resembles the English language, so you’ll often see words like “not,” “in,” and “or” in its scripts. Because of its readability, Python is commonly the first programming language schools teach. It’s a great launchpad for an aspiring coder. There are actually a lot of computer languages you can choose from. However, Python is considered one of the computer coding basics. If you don’t have any coding experience, it’s a good language to start with. Thanks to its clean syntax, it’s very easy to learn this particular language. It doesn’t have too many semi colons or brackets, unlike the other languages. In other words, the commands are easy to understand. Python is also a very versatile language. You can really do a lot with it. It’s also one of the languages that will stay for a very long time. It’s also likely to stay relevant for years to come. According to the 2018 Stack Overflow Developer Survey, nearly two-fifths of coders on the Q&A site said they use Python. The language has gained in popularity from last year, surpassing C# and taking the seventh spot among coding languages. So you’ll find plenty of tutorials, explainers, and a large active online community to help you along your coding journey. If that’s not enough to encourage you to learn Python, then this should. Did you know that Python powers a lot of the major tech companies? Python is the official language of Google, it powers Instagram, and it even runs on chips Intel tests. It’s a scripting language that can automate all sorts of tasks, big or small. You can do just about anything with Python that you can do with other languages. You can always learn Python at your own pace. There’s also no need for you to go anywhere since you can always learn it online. Examples of online Python courses are Python For Everybody, Learning Python with PyCharm, DataCamp, Introduction to Python: Absolute Beginner, Python and Django Full Stack Web Developer Bootcamp, AI Programming with Python, Georgia Tech: Introduction to Computing in Python, and Python I: Essentials. There’s really no need to be scared or intimidated. 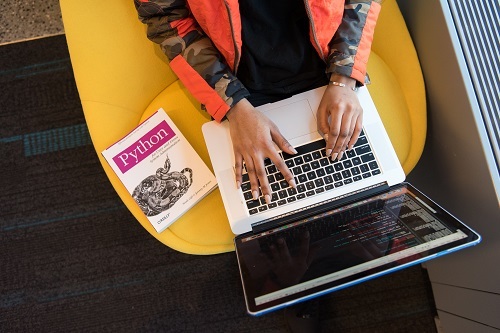 Learning Python can open doors and new opportunities for you. It’s really one of the computer coding basics worth knowing. Needless to say, understanding that particular language is going to be pretty helpful to every computer user out there. That’s not the only thing a computer-user, like you, should understand. Aside from learning one of the computer coding basics you should also know how to protect your data. Once you get to learn how to code, you will be storing a lot of valuable projects in your computer. You would have to protect them in case something happens to your computer. A good example is when your computer just doesn’t want to turn on. What good would your coding skills do if your computer is dead? Whether it’s a laptop or a desktop you’re working on, you can always get your data back. Here’s https://www.harddrivefailurerecovery.net/how-it-works/ so that you won’t panic in case something bad happens to hardware. If you’re working on a laptop, this link on https://www.harddrivefailurerecovery.net/laptop-data-recovery/ can help you out right away. Posted in Uncategorized and tagged Hard Drive Recovery Associates - Feed.